Tomorrow, and tomorrow, and tomorrow. With only three days until the most anticipated hockey media frenzy of the season. The beloved Oilers find themselves in a bit of a predicament. They have too many NHL players on the roster. With Ryan Nugent-Hopkins coming off injury reserves, somebody has to be moved. A player will either be traded or sent down to the minors. The obvious move is someone will be shipped out to Oklahoma. Word has it that Anton Lander will be the odd man out. I don't buy it. Oiler Management love this guy, there's a reason he's remained on the team all year. Magnus Paajarvi could clear waivers but he's been playing well. That just leaves Lennert Petrell. A player may very well be sent down to the minors, but only for a few days. Steve Tambellini is getting a lot of calls regarding the availability of Ryan Jones. Jones has had another strong season for the Oilers. He's been a pleasant surprise since being claimed of waivers two seasons ago. He's a versatile player that can play on the second or third line. His 13 goals would add much needed scoring depth to many teams fighting for the playoffs. Why would Steve trade Jones? It's called Profit Maximization. Jones has reached that level, and the Oilers now have depth to replace him. Looking at our current roster, Jones doesn't fit in our top 6. Our bottom 6 has rounded itself out and he is know expendable. Jones has been a healthy scratch over the last 2 games so this should come as no surprise. Now that those ridiculous rumours about Dustin Brown have subsided. The Oilers can now feel offers. Every team would love to have a player of Brown's calibre. How about a Dustin like Ryan Jones, a nice alternative at a lower price. Trading Jones would definitely bring in a nice prospect or a high pick to accelerate the rebuild. Could St. Louis be interested? How about Ian Cole and a pick for Ryan Jones. The Blues just called up Cole, perhaps they're auditioning Ian to prospective buyers? Three more days to the deadline and it maybe a quiet day for the Oilers. 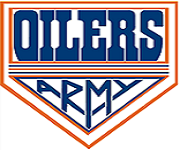 Regardless of what happens by Monday, the Oilers will move someone. Will that someone be Ryan Jones? Just a Dude blogging about a bunch of dudes who play the greatest game in the world! Taylor Fedun And Why The Oilers Traded Gilbert!